And I have one more card to share today created using a special “Many Thanks” set designed by Dawn from WPLUS9. It is one of those layering and builiding sets that lets you create awesome multi colored images. And it is also a must have! I used several colors of ink from Simon to stamp the flowers, I paired Rosie Cheeks, Hollyhock and Lipstick Red; Sunshine and Duckling; Melon and Sunkist. And I also used Catkin for the leaves. To give my background a little twist I die cut it using Stitched Rectangles. I also cut a panel out of vellum and muted a part of my stamping. For the sentiment I selected a Relax word die and created a negative. 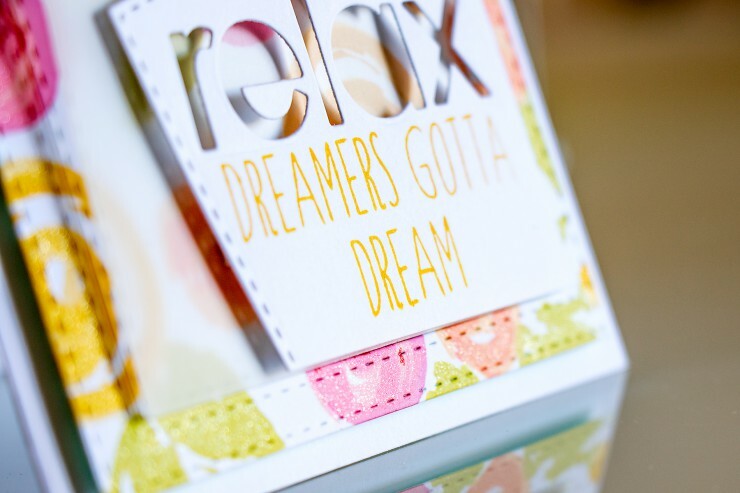 I complimented that with a stamped Dreamers Gotta Dream which I cut apart and re-arranged into a two line sentiment. I also added glittery highlights to my card using a Wink of Stella Glitter pen, I outlined the frame and the sunshine. Like this video? Please give it a thumbs up and share with friends. Thanks! Leave a comment under this blog post by June 15th for your chance to win a Simon Says Stamp Prize Pack. Winner will be announced in this post and also on the sidebar to the right. Thank you everyone for your lovely comments! The winner of this giveaway is Isha Gupta. Congratulations! Dawn Woleslagle wplus9 – next stop! Thank you so much for stopping by today! If you are new here and like my projects be sure to subscribe, there’s a subscription form on the right. Have a great day! I love gorgeous background you created! You have a new subacriber here! Beautiful card! 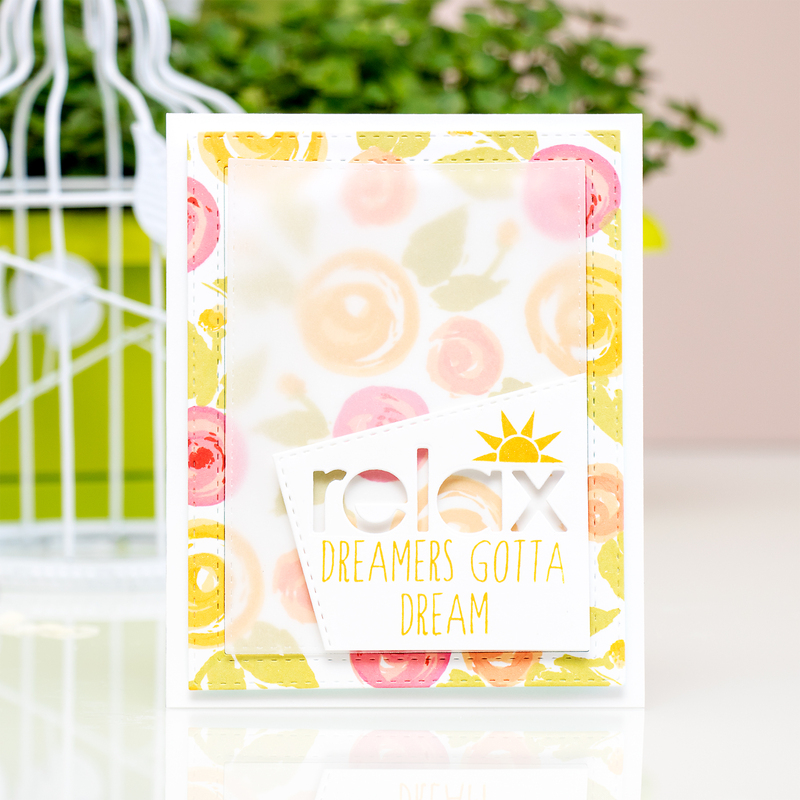 Love the background and the layering! So beautiful! Thanks for sharing your techniques too!! All your cards are so lovely! I LOVE the yammy ice cream and the coloring of the first ones, and the stamped background of the second one is so fabulous! Thank you so much for the inspiration! I discovered your blog recently and I have to confess that your work is simply stunning! Love your style and the video tutorials are so helpful! Beautiful card! I love the flowers. Your creativity is endless. So inspiring. Thanks for sharing your work! I love your videos and try to watch each one. First time visiting your blog. 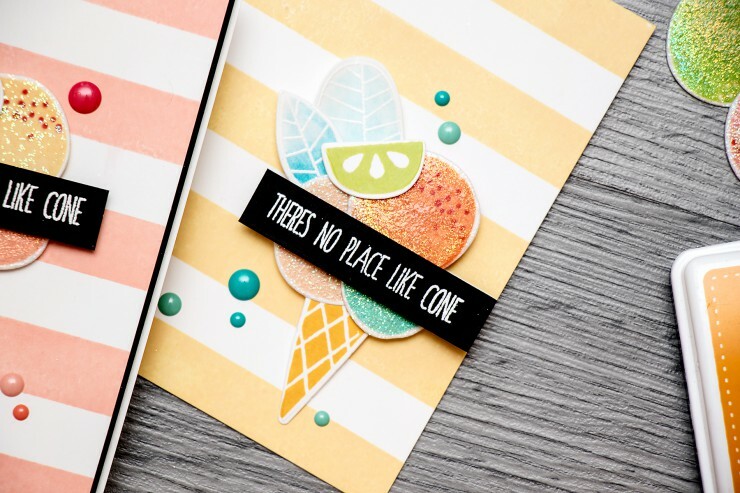 Love how you used the ice cream stamp and die set. Very inspirational. Such a wonderful release. I love your ice cream card, it is so summery and cheery. Thanks for sharing! Love the summery colors! The design is wonderful. thank you for sharing! Love the new colors – makes me think of the BEACH and I am ready for the BEACH !!! 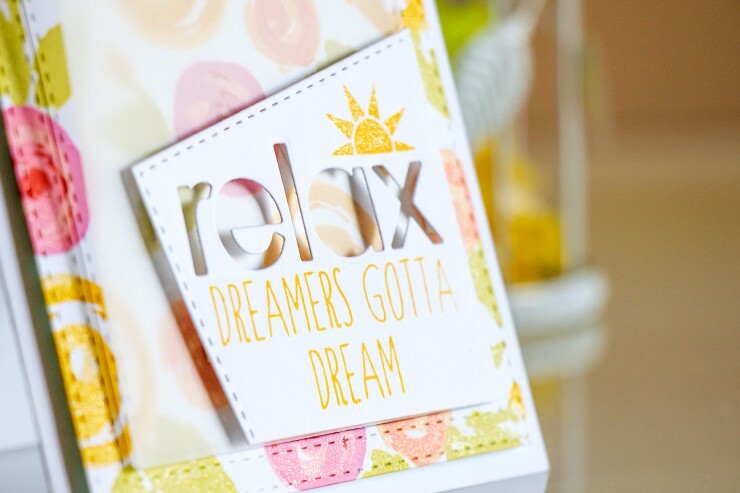 Like the cards too – they are definitely summery – is that a word? These cards are incredible! Thanks for sharing! Awesome cards! I really love that floral set! This stamps set by Dawn IS must have. It’s awesome!! Your card is stunning! 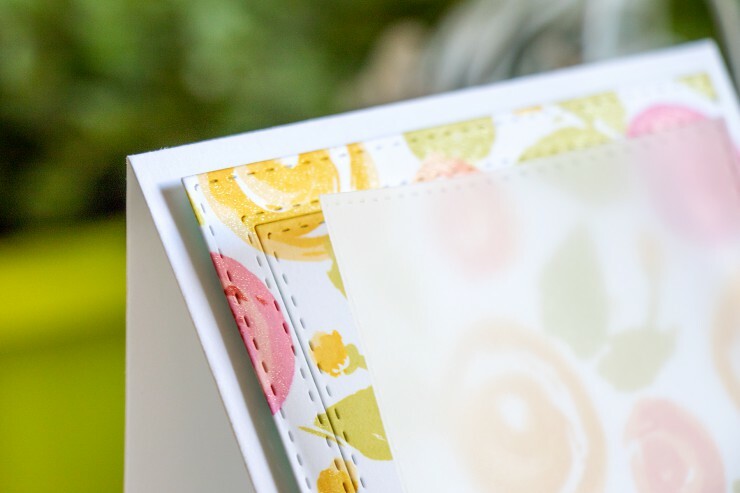 Love the background, vellum panel. Looooove the sentiment! !